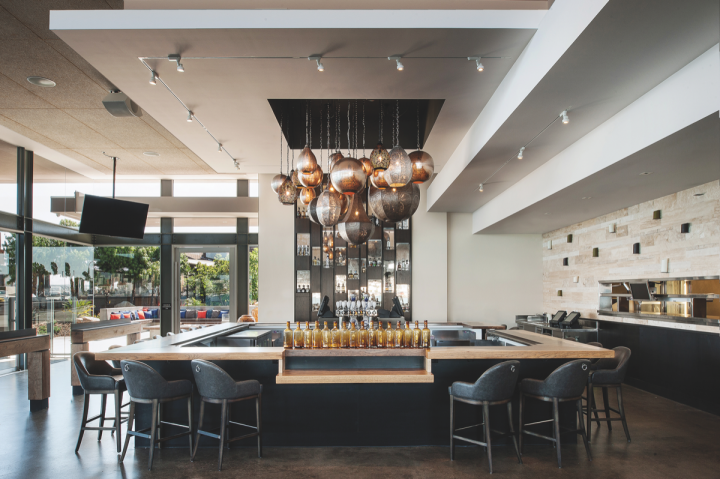 With its diverse array of concepts, Cohn Restaurant Group has spearheaded the transformation of San Diego's dining scene. 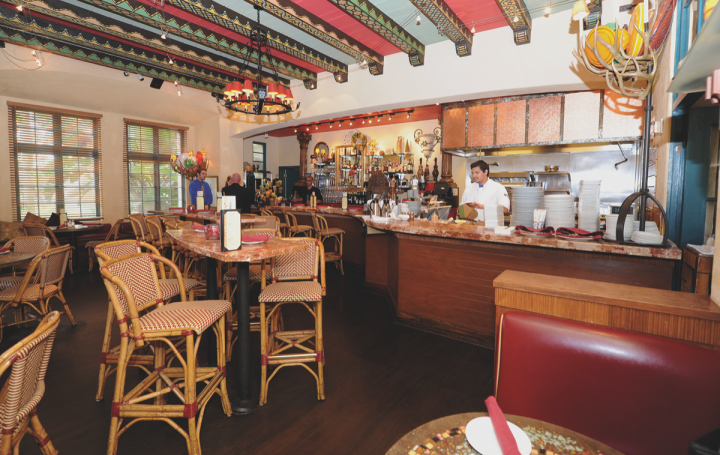 BO-beau kitchen + garden (interior pictured) in La Mesa, California, is one of four BO-beau venues owned by the San Diego–based Cohn Restaurant Group. Though there is overlap among each location, all of them have unique identifying features. It’s a family affair for Cohn Restaurant Group, in more ways than one. The group of 24 restaurants is owned by David and Lesley Cohn, who run the San Diego–based business with the help of son Jeremy Cohn, daughter Jessica Cohn Feinman and son-in-law Mike Feinman. The financial factors are paramount, but the group also considers whether it has the internal talent to expand at any given time. “People want to be with a company that’s expanding, not one that’s stagnant or contracting,” Cohn says. 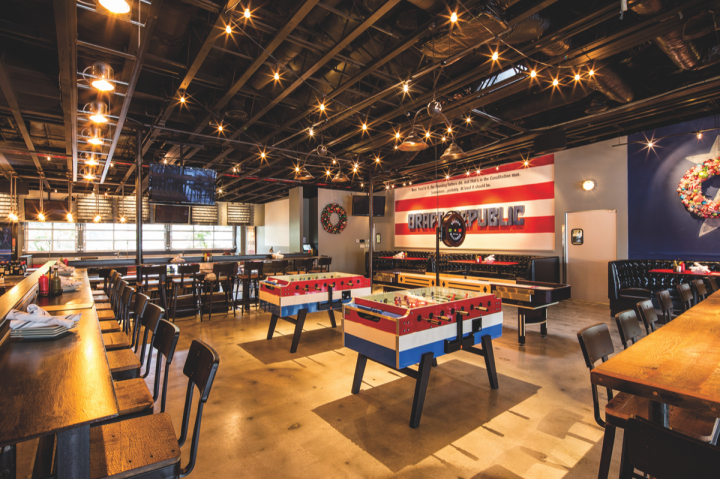 Concepts cover a broad spectrum, from fine dining at places like Island Prime, 333 Pacific, Blue Point Coastal Cuisine and Coasterra, to beer-centric venues such as Draft Republic and Coin Haus Beer & Games, to more casual fare at Zigzag Pizza Pie and Corvette Diner. There is some overlap. 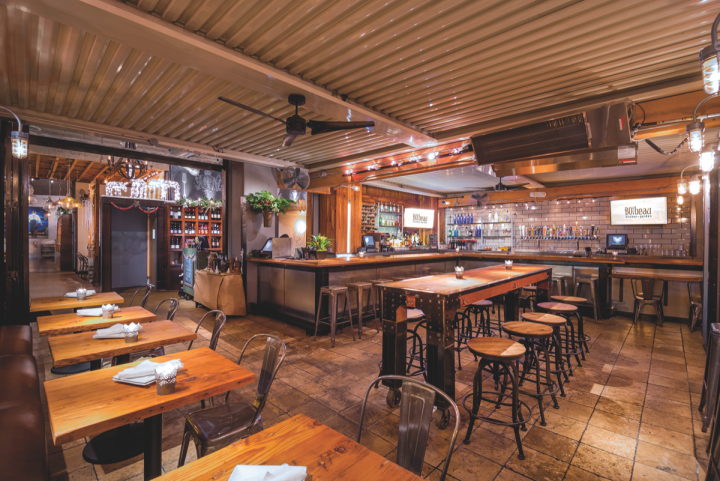 For example, there are multiple BO-beau venues—BO-beau kitchen + garden in La Mesa, BO-beau kitchen + bar in San Diego and BO-beau kitchen + roof tap in Long Beach—but each has a unique twist. “Each one of our BO-beaus has some common menu items, but other than that they are different,” Cohn says. “The menus are driven by the executive chef in that location.” BO-beau kitchen + caché, which recently opened in the Hillcrest neighborhood, is a dual concept with a backroom speakeasy. Next door is Tacos Libertad, a taco shop where 100 percent of profits are donated to a monthly charity selected by an advisory committee. Tiki is the big trend in spirits for San Diego. Cohn Restaurant Group doesn’t have a tiki-centric venue, but nevertheless has incorporated its influence. “It’s not really about the rum—it’s about the fruity, fresh, tropical cocktails,” DiMarino says. He adds that interest in mezcal is on the rise among locals in San Diego. It’s not a big seller right now, but it’s drawing increasing attention. “Nobody likes mezcal when they’re trying it for the first time,” DiMarino explains. At one venue, Indigo Grill, bartenders are infusing mezcal with fruits and chilis as a way to introduce the unique spirit to guests. Excitement about craft and local beer is very high in San Diego. That’s underscored by some of Cohn Restaurant Group’s most recent openings, including Draft Republic and Coin Haus, which has a second location opening in Ocean Beach next year. 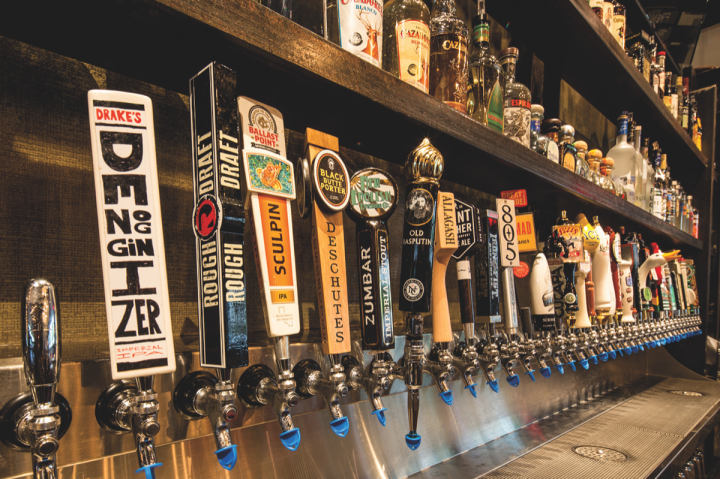 Although the local brewing scene is thriving in San Diego, DiMarino contends that local beer isn’t always the best fit at his restaurants. “We like to feature great beer, not just local beer,” he says. “Most of my restaurants do feature local beer, but I’m not stuck to that. In fact, local sometimes doesn’t make business sense because local brands tend to be more expensive in their home market than they are outside of their locality. I pay less for a small craft brew from San Francisco than people in San Francisco do.” The proliferation of brewpubs and craft tasting rooms make the local craft beer scene very competitive. “The craft brewers have tasting rooms everywhere, and they also compete with us—they can serve a $5 pint and we’re serving a $7 pint. That’s the issue I have with local beer,” he adds. 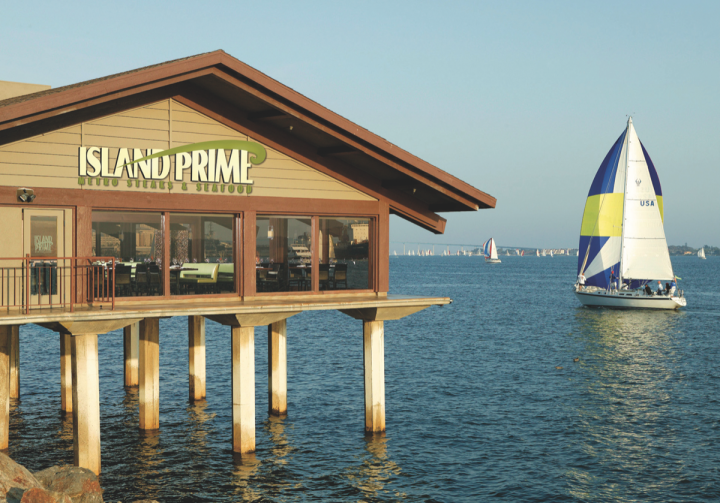 The Harbor Island–based Island Prime (exterior pictured) is Cohn's steak- and seafood-focused fine dining restaurant. The venue is attached to C Level, a more casual bar space. Growth may be stymied by market factors. Cohn admits that expansion has slowed due to the rising costs of doing business. An escalating minimum wage is a factor but, more importantly, real estate costs are skyrocketing. He laments the “very competitive environment and high costs of doing business” in California. “You don’t always hit a home run so you’ve got to make sure your costs are in line, especially your occupancy costs, so that you can afford to be successful if you hit a double,” Cohn says. “I’ve turned down a lot of deals only because we would’ve had to hit a home run.